आजाद आप हमेशा याद रहोगे, अमर रहोगे! अब बात जरा आजाद भारत की जहाँ अफजल, याकूब के निर्लज्ज समर्थन की बात हुयी फिर रोहित वेमुल्ला को शहीद बताया गया.. आजाद भारत में आंदोलनों के नाम पर नौटँकीयां खूब हुयी है और आज लोग खुद को आजाद नहीं कहते आज तो दलित कहाने की होड़ है, फर्जी जाति प्रमाण पत्र बनते है, हिन्दू क्या भारत के मुसलमान और ईसाईयों में भी जाति व्यवस्था हो आयी बल्कि बढ़ी है… आज स्वराज को नहीं बल्कि आरक्षण के लिए लड़ाई हो रही, क्या जाट, क्या पटेल पूरा देश मुफ़्त की मलाई चाटने को न केवल स्वाभिमान का बल्कि हमारी एकता का भी सौदा कर रहे और ऐसी स्थिति में आजाद को समझना- समझाना मुश्किल हो रहा है!ऐसा क्यों? जिंदा जो है तो मिसाल बनिये..
वो ख्वाब हो रोज अब सिरहाने में मेरे..
हो जाउं मुकम्मल गर हो जुबानी मेरी..
वो अब रूबरू मिले, है ख्वाहिशें ये मेरी..
दो चाँद हो जब आँगन में मेरे..
It’s not just my blog title but I strongly felt it thousands of times that Life iz Amazing and it is mostly because of the people around.. Today I am going to introduce a math wizard, mentor, soft-spoken, senior Mr. Zeeshan Ahmad, Hod Maths, G D Goenka Public School GAYA, Who has been in teaching portfolio for last 7 years and in this short span of time his talent and dedication got acknowledged by education industry and media pioneers and that has brought many appreciations and today he is known as Best Maths Teacher in Gaya. 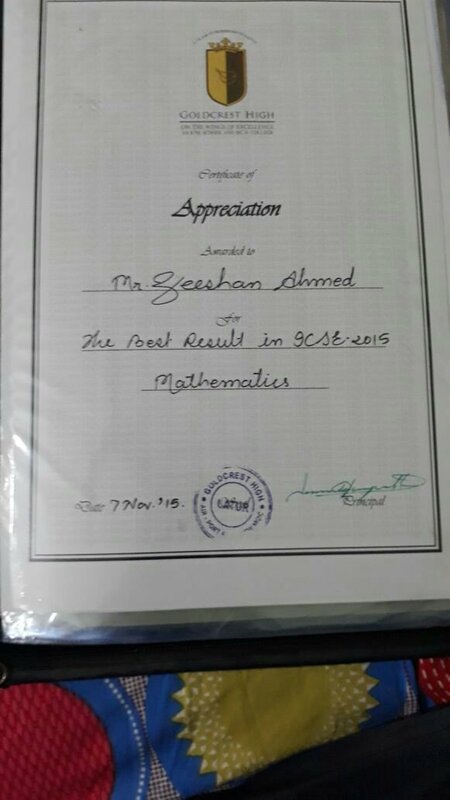 When I spoke Mr. Zeeshan to talk about his journey what he said just read in his own word. We see “a caterpillar to struggle to become a butterfly, we feel pity and try to help but the destiny says this is the way it becomes strong.” My journey as teacher is just the same as of a caterpillar. I am that coffee bean who has been boiling to spread the essence of education among my pupils. 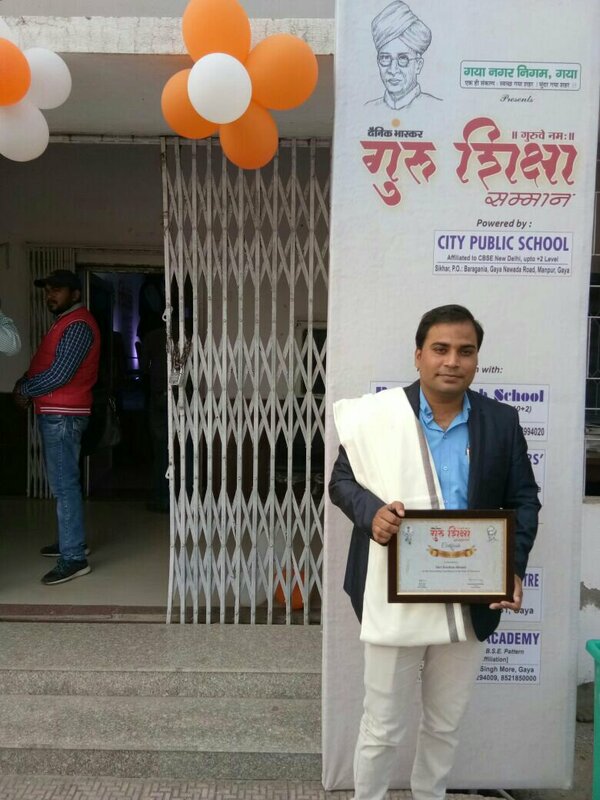 To become a teacher was my choice and I cherish my achievements as one of the best math teacher in Gaya. 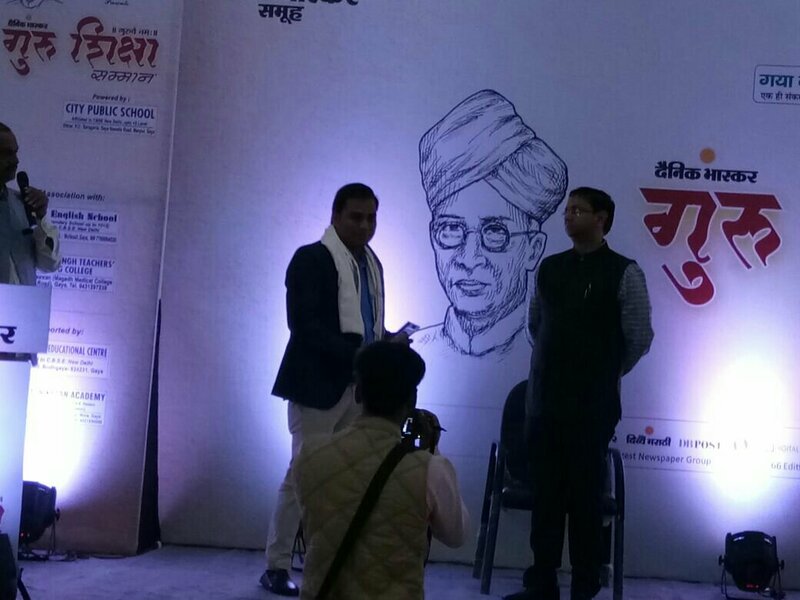 It is well known that Gaya is the place of knowledge and to get such an honour here makes me feel proud. This progression of achievement started in Latur. At present I am the senior coordinator of GDGPS Gaya. I am also the HOD of mathematics where I facilitate my children not to fear maths but to love it. I have done my education from Agra which is famous for its love symbol i.e. The Taj Mahal . However the journey of learning is an unending process and I am enjoying this world from learners eye. 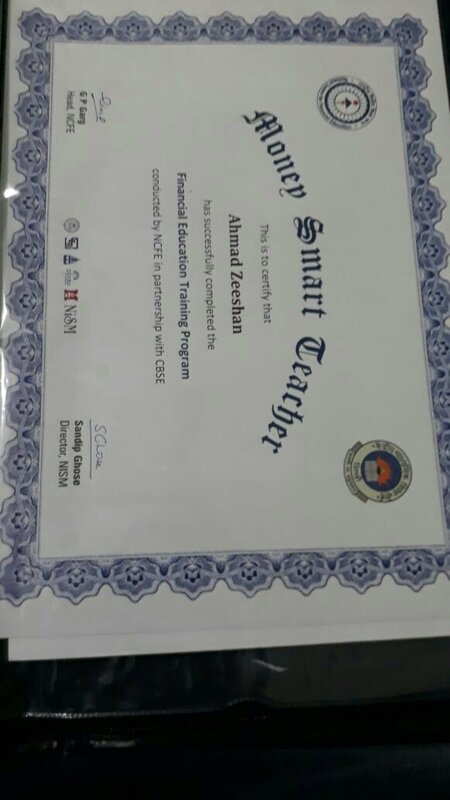 Teaching has given me an opportunity to work for my children and the society and I am satisfied so far with my children performance in Board exams. My mission is to erase the mathphobia from learners mind and to develop a culture where students would enjoy calculations and can come up with new ideas to make world better and better.